MADISON – If you are white, you probably don’t have the “capacity” to understand just how racist you are, and just how truly privileged you are. And your “white fragility” makes you feel quite uncomfortable any time you are made to come to terms with the truth of a white supremacy society. At least that’s what Decoteau J. Irby, Ph.D., believes is at the center of race relations and failed or stalled educational systems in America. And Wisconsin taxpayers are again picking up the tab for another public education event, at least in part, pushing the concept of “white privilege” with another education expert declaring just how intolerant – and intolerable – white people are. Hundreds of education specialists turned out for Irby’s presentation innocuously and academically titled, “Stuck Improving: Understanding Organizational Capacity for Equity-focused Improvement.” The address was nothing more than a white shame fest, according to an event attendee who spoke to MacIver News Service on condition of anonymity. The address was nothing more than a white shame fest, according to an event attendee who spoke to MacIver News Service on condition of anonymity. “Martin Luther King would be rolling over in his grave,” he added. Racism and white supremacy are devastating to white people, too, shaping their “emotional and intellectual incapacities to behave and relate to people who are not like them,” says Irby, who teaches and advises in the Educational Organization and Leadership Ph.D. and Urban Education Leadership programs at UIC. Those who are uncomfortable with confronting such ideas are exposing their “white fragility,” Irby insists. “It’s clear what the intent was, to make you feel bad for being a white male, no matter how hard you’re working to help kids,” the attendee said. “The idea that you may be feeling really nervous right now is a consequence of low emotional capacity to deal with conversations about race and racism,” the professor told conference participants. Infusing some politics into the conversation, Irby opined that “white racial solidarity” prevented some white female senators from “breaking ranks with someone they identify with” – apparently Supreme Court nominee Brett Kavanaugh (a white man) – and voting for confirmation. The conference attendee said Irby also made a couple of “anti-Trump” comments during his discussion. “There was actually a guy who got up and said that (Irby) was painting with too broad of strokes, lumping all white men together,” the source said. DPI spokesman Tom McCarthy said Superintendent of Public Instruction Tony Evers did not attend the conference. He said the event is paid for through conference registration fees, priced at $110 to $150 per person. Who picks up the fees? School districts, or, ultimately, taxpayers. The attendee who spoke to MacIver News said the registration fee is just the beginning. Participants came from all over the state, most requiring hotel accommodations for the two-day event. McCarthy claims the conference was not financially underwritten by DPI, although the agency clearly sponsors it. He noted the conference deals with a host of issues facing special education and pupil services. Irby’s presentation is the latest iteration of what National Review’s Dennis Prager described as a “pillar of contemporary Leftism.” Social justice warriors in the public education establishment have been pushing the “white privilege” agenda for several years, insisting that white Americans are the beneficiaries of “unearned privileges,” and that anyone who isn’t born white is naturally disadvantaged in a white supremacy-based system. Such criticism hasn’t stopped the state Department of Public Instruction and Wisconsin’s institutions of higher education from hosting training sessions and conferences pushing the privilege narrative. “As a parent of a child with special needs, I am deeply disturbed that these funds were used to send attendees to a ‘white privilege’ conference, according to a MacIver Institute report, instead of going toward special needs programs,” Jagler wrote. In 2014, MacIver News Service uncovered DPI spent nearly $2,000 in Individuals with Disabilities Education Act (IDEA) funds to send staff to the 15th annual national White Privilege Conference. Rep. John Jagler (R-Watertown) sent a letter to Evers questioning the department’s commitment to students with special needs. “I am requesting information about DPI’s usage of Individuals with Disabilities Education Act (IDEA) funds in a manner unrelated to their intended purpose,” he wrote in the letter. “As a parent of a child with special needs, I am deeply disturbed that these funds were used to send attendees to a ‘white privilege’ conference, according to a MacIver Institute report, instead of going toward special needs programs,” Jagler wrote. The department sent eight staff members to the conference, which aimed to provide “a challenging, collaborative and comprehensive experience,” and “empower and equip individuals to work for equity and justice through self and social transformation,” according to DPI’s website. But the conference was more radical than advertised. One facilitator attacked tea party members for being racist, and another claimed teaching is a political act. Irby has made a decent living preaching “equity-focused organizational improvement,” and the shame of whiteness. For a time, Wisconsin taxpayers paid him to do so. Irby is a former University of Wisconsin-Milwaukee faculty member. Irby argues that in schools, “White-supremacist patriarchy reproduces normative Whiteness through the continual surveillance, punishment, distancing, and removal of primarily heteronormative Black male bodies, locating its justification in protecting the bodily safety and academic achievement of heteronormative White girls.” In essence, white educators frown on black male-white female relationships. 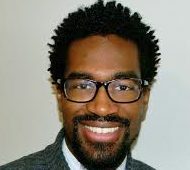 “I suggest that in predominantly White desegregated schools, disciplining heteronormative Black boys represents a new policy-based campaign of institutionalized violence and intimidation that reflects a subtle, but nonetheless pernicious, White male segregationist agenda,” Irby explains in the paper’s abstract.